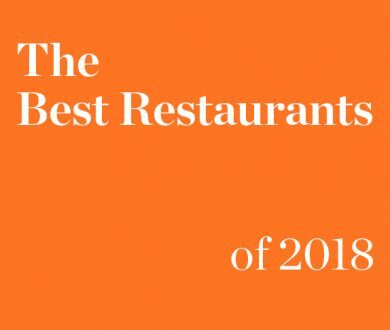 Having opened its doors last year, Parnell’s newest fine dining institution, Red Wall 1939, is delivering a culinary experience unparalleled for its uniquely Chinese nature. Started by Kevin Liu whose late grandfather, Cheng Ruming, was Chairman Mao’s executive chef, the restaurant serves up the gold standard in Chinese Haute cuisine, offering a wholly unique dining experience. If you’re yet to book in, or are wondering what a meal at Red Wall 1939 entails, we have rounded up the reasons why it’s a culinary experience you need to try, as well as offering a special giveaway to Denizen readers for a nine-course degustation dinner for two (see below for details). 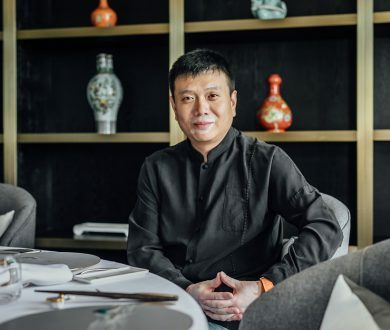 The recipes used at Red Wall 1939 were passed down to Kevin Liu from his grandfather who was one of only 16 to be named a culinary master in China, the country’s highest accolade for chefs. Offering a seven- or nine-course degustation dinner as well as a daytime high-tea ‘Bobo Feast,’ Liu has drawn from his experiences working alongside his grandfather and combined the use of fresh, New Zealand-sourced ingredients with his knowledge of Chinese cuisine to create authentic, state-banquet dishes that pay homage to his country of origin. 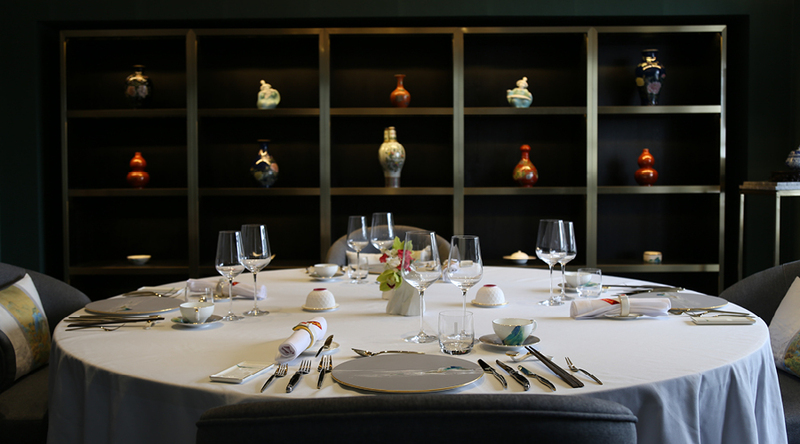 And considering everything is served on delicately hand-painted dinnerware against the backdrop of traditional zither music, it’s an experience offering a cultural experience as much as a culinary one. Cheng Ruming’s job was to cook for Chairman Mao, which means that you can expect that the high-tea and degustation will be akin to the kind of food the infamous Chinese leader was served. 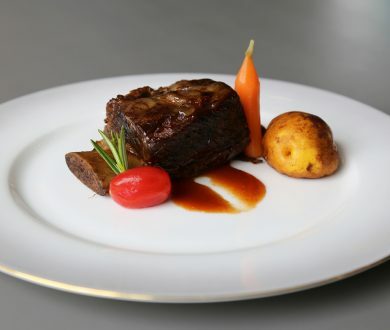 Beyond that, however, Ruming would be charged with cooking for foreign dignitaries, including the likes of Margaret Thatcher, Richard Nixon, Joseph Stalin, Kim Jong-il and Bill Clinton, mastering a number of different cuisines to cater for the vast array of VIP guests. In Red Wall 1939’s private room, pictures of Mao sitting with Nixon and various other historical leaders reminds us of the intriguing history of the food being served. And for an even more exclusive dining experience, there is a separate dining space that has been set up as an exact replica of Chairman Mao’s study. Do not confuse the food at Red Wall 1939 with any kind of Chinese you’ve had before. It cannot be conflated with your Sunday morning yum-cha or mid-week take-out. In both flavour and texture, it is intricate, delicately balanced and surprising. Liu has created dishes that innovatively combine traditional Chinese elements with modern twists so that the lamb fillet with potherb mustard, smoked wood salt and magic mushroom and the Red Wall golden prawn dish is separated by a refreshing watermelon and mint sorbet. Likewise, the nine-course degustation menu is peppered with unexpected delights like the Taro Mouse with golden osmanthus jelly (a traditional Chinese dessert with an over 300-year-old history) and caramelised Hawthorn berry (a soft, tart berry perfect for cutting through the sweeter undertones of a dish). Located in what used to be a sought-after wedding venue in Parnell’s rolling Rose Gardens, the white house, Red Wall 1939 allows diners to truly escape the urban bustle for an hour or so and fully immerse themselves in the experience. With calm, elegant interiors that reflect the natural surrounds and only hint at the cultural underpinnings of the food, this restaurant is offering fine-dining in every respect. The culinary landscape of Auckland may be varied but there is no other restaurant in the city offering a similar experience to Red Wall 1939 and certainly not one with the same kind of pedigree behind it. Liu and his grandfather had already established two restaurants in Beijing and Chongqing (two of the most regularly booked-out in the country) before Liu came here to set up Red Wall 1939, and really, we’re just lucky he fell in love with the Rose Gardens on a visit to Auckland, or we might not have a culinary experience like this at our fingertips. We are giving away a nine-course degustation dinner for two at Red Wall 1939. Click here to enter.